A lot has been happening while I've not been posting and we're long over due a catch up. Regular readers will know that I gave up smoking and spent the saving on a new compound bow, choosing the Bowtech Carbon Knight. Most of my archery has been with a very old PSE that was way to big for me, both in poundage and draw length. I gave it to The Northern Monkey who stands head and shoulders taller than me. I choose Bowtech as Chad had told me that he has one he's still happy with after quite a few years and several of his pals also have good things to say about the company. I chose the Carbon Knight as its the lightest bow they make, the old PSE was very heavy so I was obsessing about something lighter although of course any modern bow would be a lot lighter. The Carbon Knight has so far proved to be everything I hoped it would be. It quickly convinced me of its accuracy, which left me free to focus on reducing user error. I'm not a member of an archery club at the moment so coach-less, I watched a few videos on youtube, found my anchor point, and the rest is history. Its not a bow, it's a machine for launching arrows. As you'll know when you look on the back of your 'man-card' you'll see that one of the rules is that it's not a hobby until you've managed to get at least two of your pals involved so you can have 'play days'. This is why at some companies everyone has the same hobby be it; lap dancing bars, charity fun runs, playing five-a-side football, archery, or collecting Morgan sports cars. Whatever it is you must gather a tribe around you. It's in the rules. To get my hand in as an Archery-Mephistopheles I chose CHJ for the first play-date as he already has a rig and had emailed in some impressive results. CHJ had recently sent his bow away for a new string and some tuning which had made his older bow very tight. We had a good day of it, shot some improving groups and only lost a few arrows. turns out its called 'field archery' for a reason - in a field you might even get your arrows back. One hobby-buddy an archery club don't make, so the next available weekend I took The Northern Monkey with me to the woods. Planning to re-light his enthusiasm for all things toxophilic. It turned out to be pretty easy. By the end of the weekend he'd convinced himself that a new rig was essential. 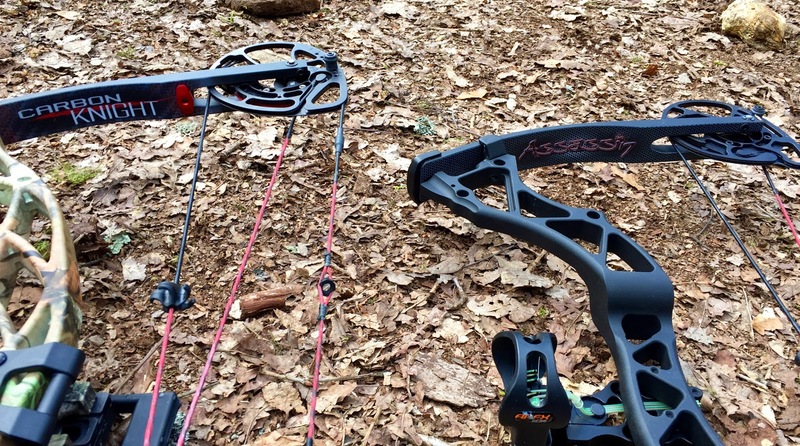 By the end of the following week a Bowtech Assassin RAK and some arrows were paid for and in the post to him. I'd bought my rig from Dana of Hunter's Friend Europe which is based in Finland, The prices were good as the Euro is down against the GBP. Dana is a witty guy to email with and did everything he could to ship me my rig so I could spend the christmas break practicing - the Spanish postal service let us down, but I suspect they let everyone down. Having never bought a new bow before I didn't realise just how good at setting up archery gear he is. Right out of the box my rig has been accurate, if and when I've done my bit. The drop away rest is flawless, its all tight. The Northern Monkey has a well deserved reputation for um, er 'fiscal propriety', it's a little known fact that copper wire was invented one afternoon when neither he or a game keeper of this parish had change of a penny. He ordered his rig from a UK company called Aim Archery. It has not been a good experience. While Dana builds and shoots the bow you've ordered so when you pay for a Ready To Hunt package that is exactly what you get. At the other end of the performance curve; Aim Archery. It would seem they loosely assemble whatever they've got lying around. For instance the cheapo Arrow rest was over half an inch out of alignment, there is nothing 'Ready, Aim, Kill' about that. If they'd gone for Ready-Aim-Loose Arrow it would have been a fairer description. Shooting my bow, which is dramatically too short a draw length for him, TNM could comfortably have arrows kissing each other, with his Assassin, set to his correct draw, the best he could manage was a loose coalition rather than an actual group. With the spread getting larger and more and more arrows disappearing into the woods TNM dismay was growing. We started looking for an archery shop online. It turns out that while they are like hen's teeth in london, we were only about a half hour drive from the UK's most famous archery store. Quicks have gained their reputation by using a strategy almost unknown in modern British retail. They are friendly AND know what they're talking about. I know! Colour me shocked too!! The chap behind the counter took a quick look at TNM's bow and sighed. 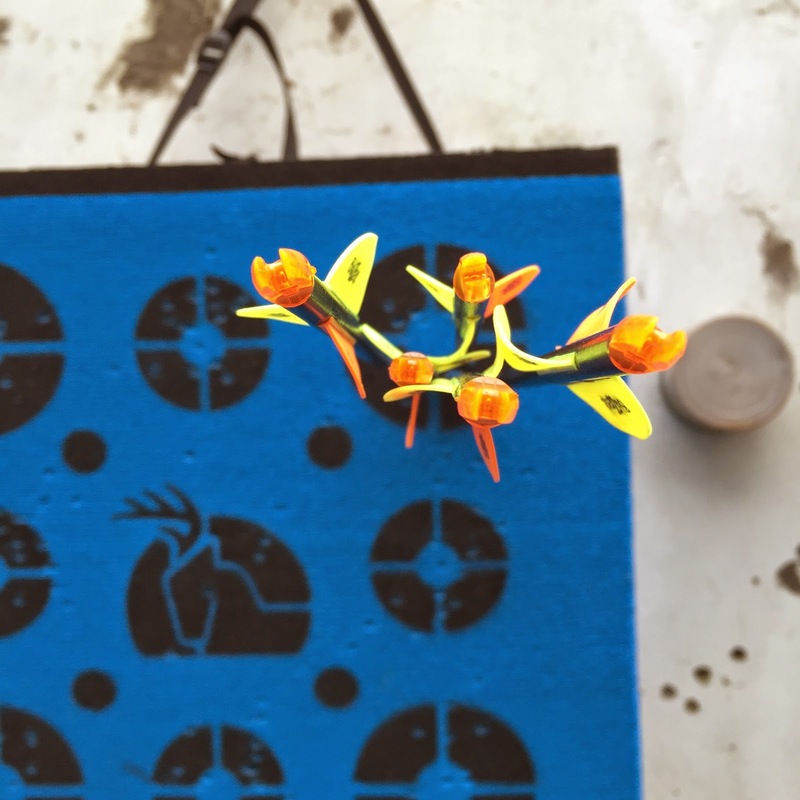 The peep sight isn't attached to the bowstring, but what's losing an eye between friends? The supplied arrows got another sigh, "these are for a recurve". Quicks dude could not have been more helpful; once he'd got the bow to safe to use, he took TNM upstairs to their range and helped him to start the tuning process. Buoyed with new found confidence he bought some more arrows and we headed back to the wood. Groups were much improved for the first hour but substandard parts soon come loose and the arrow rest lost its grip on itself and lost its position. T'was not the only loss we were to endure that afternoon. At our woodland range we hang a Delta target from a tree. We don't have an archery net, so you need to be accurate. It's fine when the difference between on-target and a miss is less than a handspan, any further deviation either results in a clean miss where the arrow disappears beneath the leaf litter on the forrest floor, or strikes the tree where the aluminium shaft absorbs the force, warping horribly before flying off at a right angle and then disappearing beneath the leaf litter on the forrest floor. Gutted. We sack it off in favour of lunch, well I I sack it off to make lunch and TNM starts getting serious about getting his arrows back. After a while he reappears, ever the sage, taking the whole debacle in surprisingly good humour he rocks up. "Do these look familiar?" he hands me two of my arrows from the first trip a few weeks back. "I've realised, there is one very important piece of kit we didn't bring, metal detector"